During the 2012 MLS season, everything just seemed to click for Frank Yallop and the San Jose Earthquakes. From winning the MLS Supporters’ Shield for best league record during the regular season to Chris Wondolowski tying the all-time goals scored in a single season mark, the 2012 season was truly special in the Bay Area. But even with all of that things faded quickly in the playoffs. Thanks to a loss at home in the Western Conference semifinals to rivals LA. Moving forward into the new season the Quakes will want to prove that their season last year was not a fluke. The talent is still there but can they rekindle the magic that they had during the regular season? 1. Is there enough depth to get them through a busier schedule? Add the USOC and now the CCL to their slate for 2013. That is a lot of extra games to go along with a tough 34-game schedule. San Jose quickly added some defensive depth in the Re-Entry Draft back in December. Dan Gargan and Ty Harden are nice pickups but ones that likely won’t be starters for every game. I do like the addition of Mike Fucito, as he’ll be a guy that can come off the bench and be a good depth piece behind their top three strikers. They still have some un-signed draft picks in camp which will help out the depth in the end. I do worry about their depth on the wings going into the season though. Take Marvin Chavez and Shea Salines out of the picture and the depth isn’t that much. There has been talks of moving Chris Wondolowski to the wing this season, a move that could pay off in the end as long as Steven Lenhart and Alan Gordan stay healthy. 2. Can they get back the late game magic? One storyline from last year was how many late goals the Quakes were able to score. It was a ridiculous number too. But all of that late game magic had to come to an end at some point and LA crushed them when it mattered most in the playoffs. So can the Quakes find that mojo in 2013? Honestly, they shouldn’t need to. They rode the wave of late goal magic due to some sloppy defending at times. Had their offense not been so good this wouldn’t have been a Shield winning team. In my mind they need to find a way to play solid for 90 minutes and not just a pressure filled final 20. If they want to repeat as Shield winners this season Yallop has to get the most out of his club for the full 90. 3. 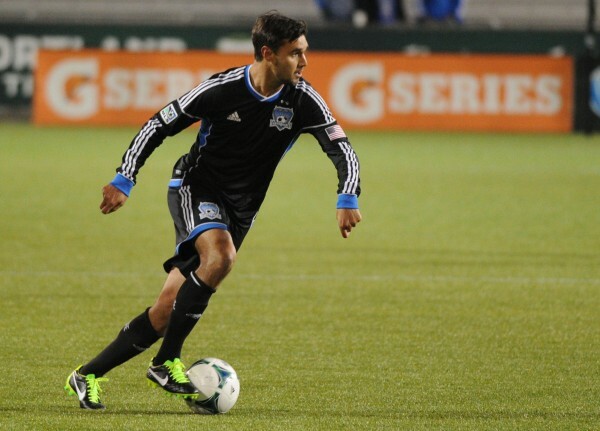 What is next for Wondo? There have been talks to make him a DP this year and that may happen too. I don’t expect another 27 goal season, no one should. Wondo is getting older too and if a move to the wing happens, that will decrease his ability to poach like he does. I think though that what is next for him is not just scoring a bunch of goals but also his continued increase in setting them up. Last year he improved his assist numbers and I see them going up again this season. Don’t be surprised if he is in double figures in both goals and assists this year. 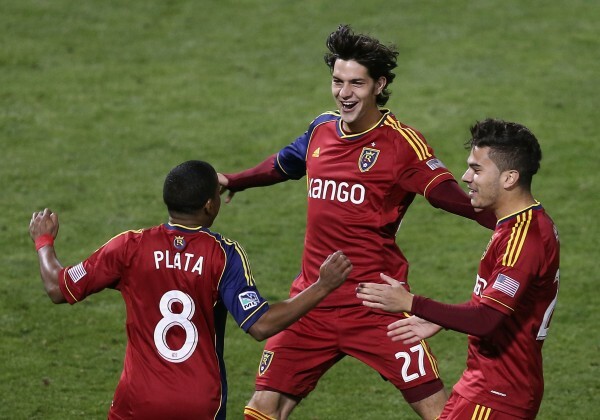 Sam Garza – It is hard to pick out a young guy that will get minutes in a veteran squad like this but Garza is going into year number two and the GA player knows he has to show something this season. It may not be a lot but look for him to get plenty of time in the CCL and USOC games this season. – San Jose will do well in the CCL. A lot depends on their draw in the regional tournament but I do think they’ll manage to escape from their group. They have enough attacking players to do well in this tournament. – Their games with LA will continue to be exciting. Every time LA and San Jose meet now days it means so much more than it did a few years ago. That is good for the league and for each side. – They will gamble on a midseason DP. I think at some point they will realize that they need a number 10 in the midfield to facilitate things better (no offense to Rafeal Baca though). They gamble on a midseason DP, just like they did a couple of seasons ago with Giovanni.